Its a 3.17 Mb installer. Installation went on clean and fast after requiring administrative rights. Desktop icon has been created by default. At installation end, it opens homepage and checks update. Windows 2000/XP/2003/Vista/2008/7/8, 32bit or 64bit. FairStars CD Ripper has an easy-to-use user-friendly interface. FairStars CD Ripper UI supports skinning. Currently 12 skins are supported. FairStars CD Ripper rips CD to WMA, MP3, OGG, VQF, FLAC, APE and WAV on-the-fly. Output files name patterns can be adjusted. A number of presets are available. 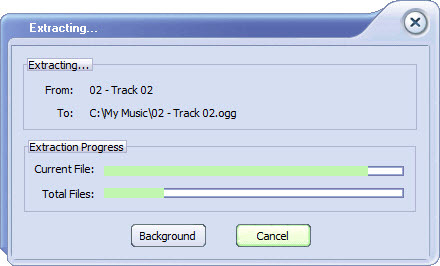 The default output location of the ripped music is C:My Music. You can of course change the location. 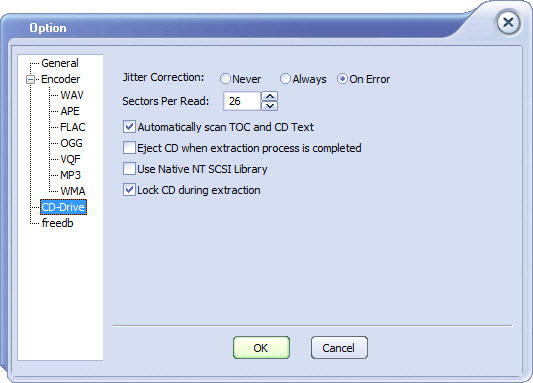 Ripping speed in FairStars CD Ripper can be adjusted: 1X, 2X, 4X, 8X, 12X, 24X, 32X, 40X and maximum. Audio Playback control function is supported. 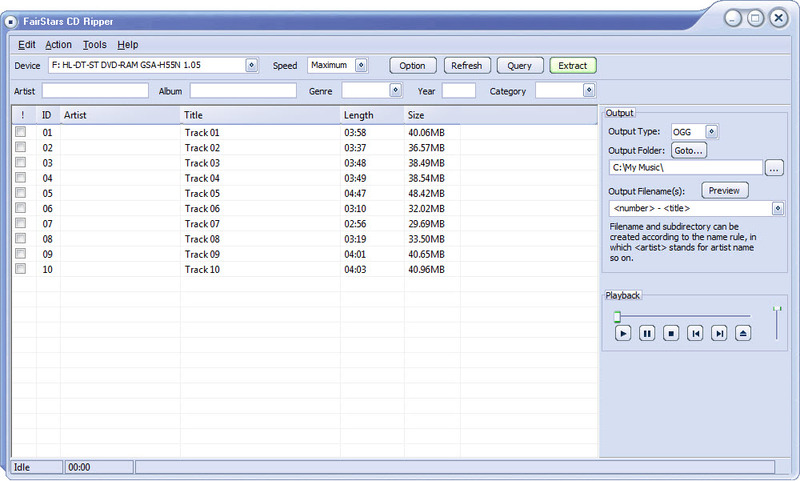 Adjust output quality of the audio formats. Automatic volume adjustment (normalization) during ripping is supported in FairStars CD Ripper. 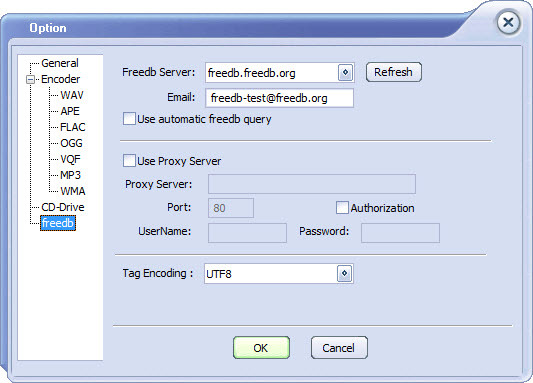 ID3 tag is supported. 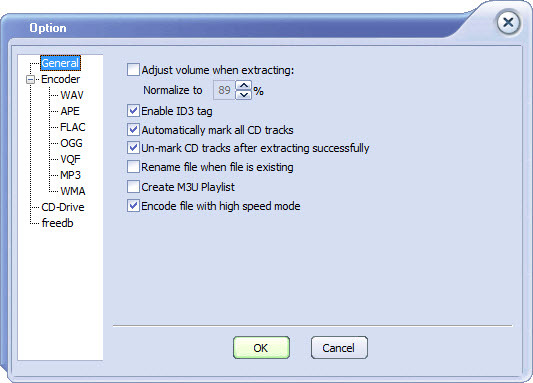 FairStars CD Ripper also supports automatic saving ID3 Tags when converting, and also support ID3 tags display and edit. FairStars CD Ripper supports multiple CD/DVD drivers. Extraction is fast and effective. FairStars CD Ripper consumes minimal resource usage at idle time. During ripping, it is moderate. It offline help manual is quite detailed. I was looking for a software to rip music as MP3 and I found it. I have not used any such software before. I am happy with the versatility of FairStars CD Ripper and will recommend it. A portable version would be great. I have manually created a portable version of FairStars CD Ripper. Copy the contents of the folder except unins000.exe and unins000.dat. Execute CDRipper.exe any time to launch the software. This entry was posted in Audio Management, CD/DVD Management, Free, Software, Windows and tagged Audio CD, Volume Normalization.